LUTZ, FLORIDA, JUNE, 27, 2013 – When it comes to helping his customers at U.S. broadcast stations comply with the CALM Act, Alan Vernick, president of Vernick Technology Incorporated (VTI), a manufacturers’ representative, value-added reseller and broadcast technology systems integrator, turns to RTW, a leading vendor of visual audio meters and monitoring devices for professional broadcast, production, post production and quality control. 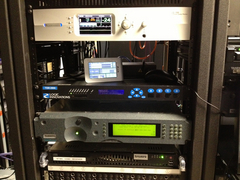 Since 2012, the Florida-based Vernick Technology has implemented RTW’s TM3 TouchMonitor audio meter at its customer broadcast stations across the country, providing them with a simple, easy-to-use solution for monitoring audio levels in order to normalize them, throughout several stages of the broadcast production process. According to Vernick, many U.S. broadcast stations are aware that they need to incorporate an audio-leveling device to comply with the CALM Act, but don’t know how to fit one into their production workflow. 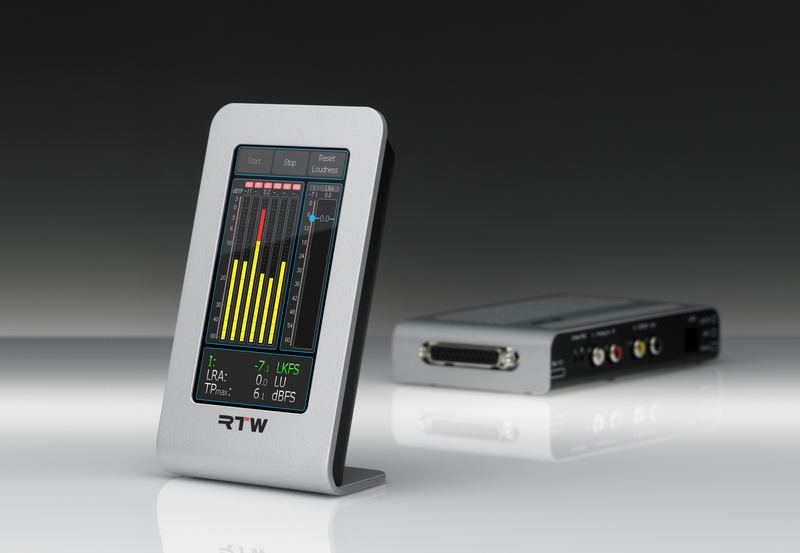 He has found that employing an RTW TM3 TouchMonitor at several key phases of the production and on-air workflow enables customers to monitor their audio levels to comply with normalization, quickly and efficiently. He recommends implementing various TM3s to monitor the output of a station’s on-air master control switcher, server ingest stations and the production control room. “A lot of stations try to monitor the audio level downstream, which is what you need for FCC compliance,” says Vernick. “One obvious place for the TM3 is on the output of the master control switcher, before the audio level control. If you try to adjust audio levels manually ahead of that, you’re looking at a signal that has already been processed. You’ll want to use it to monitor the output of the server ingest workstations as well, when they are first taking in all the content, so that you can ensure everything is at the same level. With its compact, 4.3-inch touchscreen and stylish exterior allowing for horizontal and vertical placement, the TM3 is ideal for small control rooms, OB vans, editorial suites and similar environments. It includes features of the larger TM7 and TM9 TouchMonitors, but at a more budget-friendly base price. As with the entire TouchMonitor line of meters, the TM3 allows for monitoring separate signal groups and using multiple instruments at the same time. This way, up to 16 analog or digital signals (with 3G-SDI interface up to 32) can all be displayed for the engineer monitoring the audio levels. The TM3 also includes the Magic LRA instrument, specifically designed by RTW, for intuitive visualization of the loudness range and integrated-loudness parameters. In addition, RTW recently launched the TM3-SWMC Software license, an add-on option that incorporates a moving-coil emulation display. While Varnick also sells other models in the RTW TouchMonitor line—such as the TM9 TouchMonitor to larger broadcast stations—he finds the TM3 to be ideal for many applications for his broadcast customers. It works well with mono or stereo outputs and easily fits into environments such as a master control room, which are often cluttered with multiple types of gear. In addition, the TM3 is equipped to work in surround sound, as well, especially important as more broadcast stations adopt this as their standard. Created to help adhere to all major loudness standards, including EBU R128, ITU BS.1770-3/1771-1, ATSC A/85 and ARIB, RTW’s TouchMonitor family of products comprises the TM7, TM9, TM3 and TM3-3G audio meters. VTI is a broadcast equipment supplier and systems integrator serving the US broadcast industry since 2001. VTI takes pride in providing a high level of customer service whether it is for a small order or a full system. We always want to know how a product is going to be used so we can recommend the right product for the needs. We are experts in all aspects of ATSC encoding, master control rooms and production control rooms. We represent the best products in the broadcast industry. For more information on VTI, visit www.vti.com, call 866-228-1570 or email: DigitalDoneRight@VTI.com. As part of its expansion into the U.S. market, in 2013 RTW established RTW International Corp. in Lancaster, Pennsylvania. The new office is the first U.S. location launched by the Cologne, Germany-based RTW, offering further proof of the company’s continued dedication to supporting its customers and dealer networks in the U.S. The new U.S. office will house all customer service, repair and final product assembly activities for U.S.-based RTW customers, further reducing product delivery lead times.